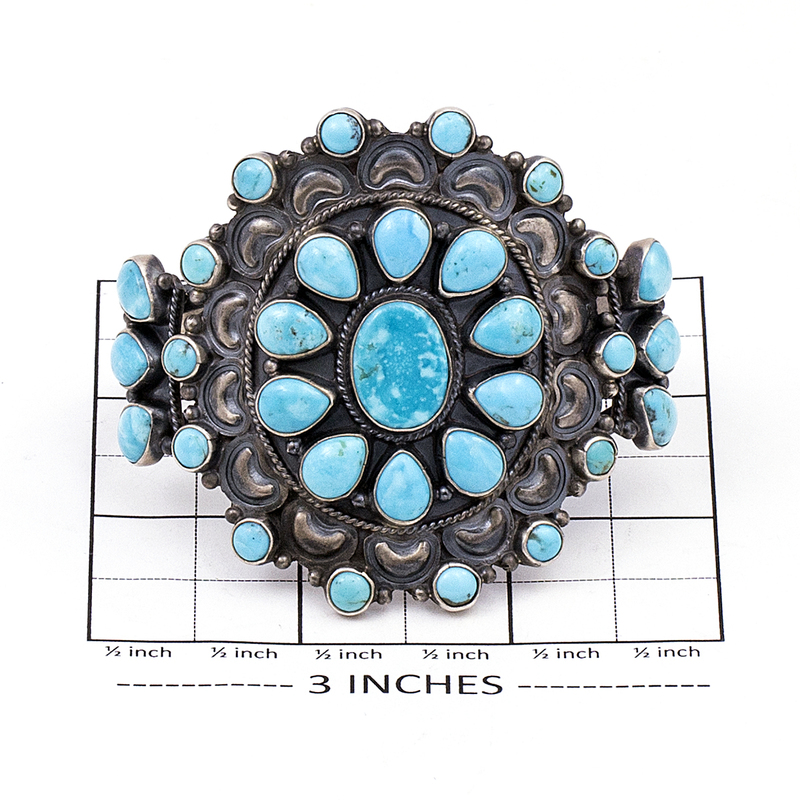 Featuring 31 intense blue turquoise stones, this larger traditional bracelet shows a beautiful combination of applique and wire work, finished to look like a vintage piece. 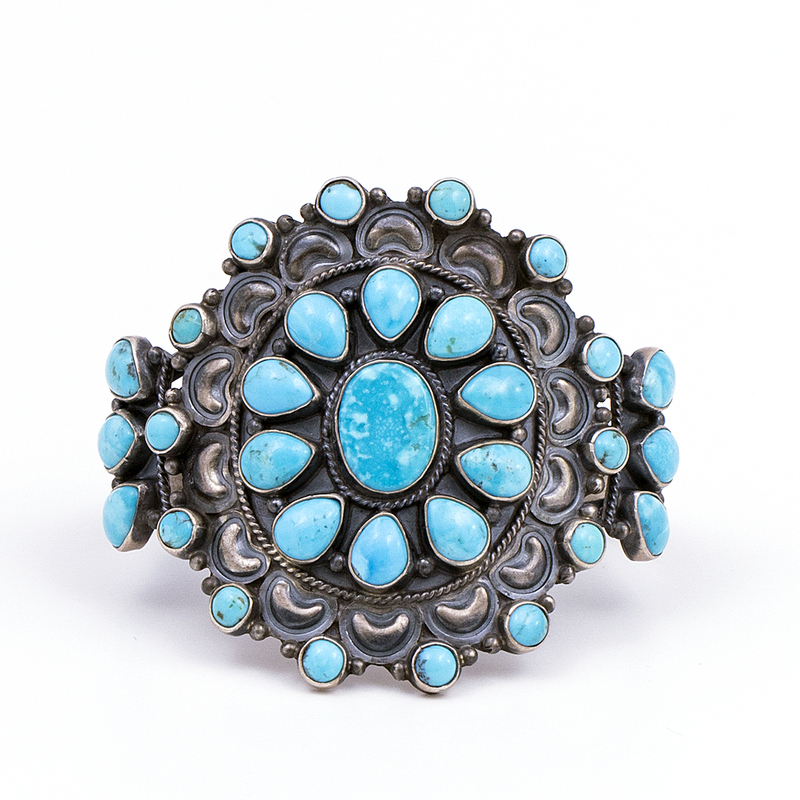 Created by Navajo silversmith Don Brown, this bracelet compliments any southwestern or Boho outfit. Measures 5″ in length with a 1 1/4″ gap by 2 1/2″ in height at the front. 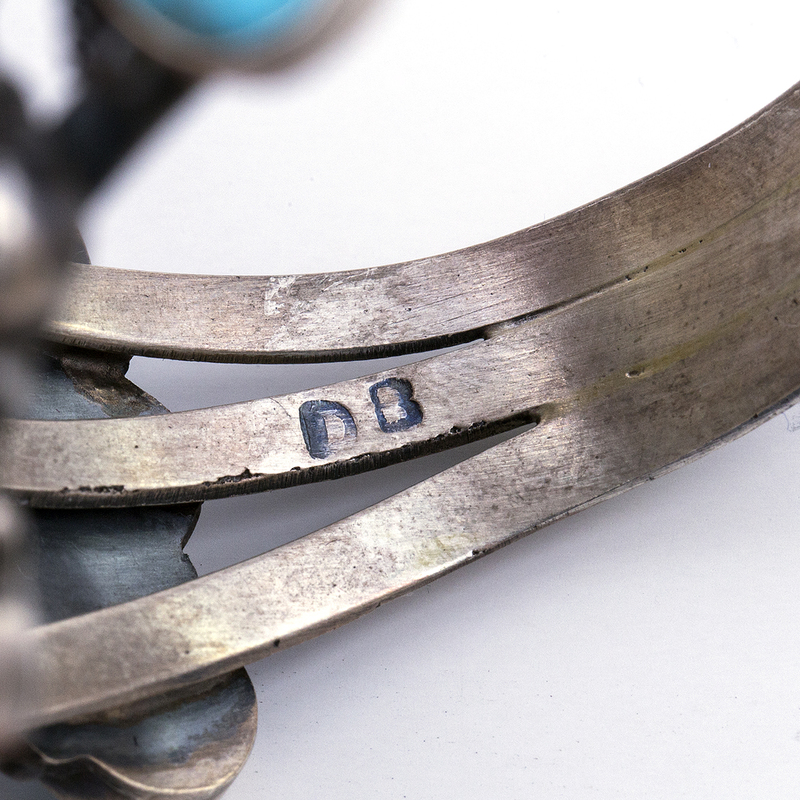 Hallmarked “DB” and “Sterling”. Weighs 56.4 grams. Dean Brown Turquoise Bracelet displays vibrant blue with shining Sterling Silver. Handmade by this gifted Native American Silversmith of the Navajo tribe.